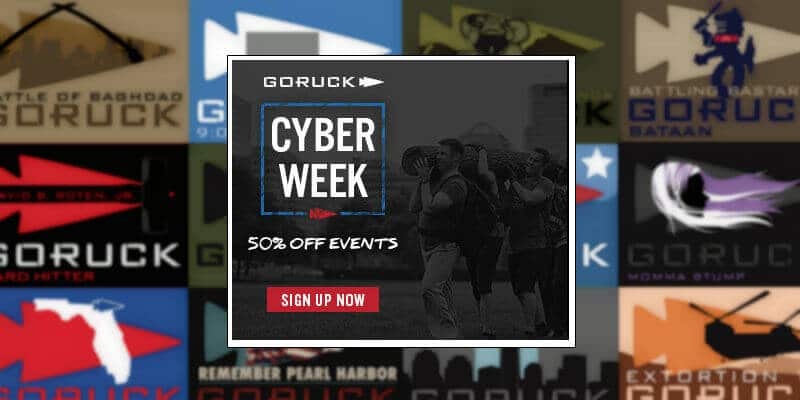 After an amazing Black Friday Sale, GORUCK is moving from gear to events with their 2019 Cyber Week Sale. For the next week GORUCK is offering 50% Off Challenge & Survival Events (Code “CYBER50”) and 30% Off Firearms Events (Code “CYBER30”). 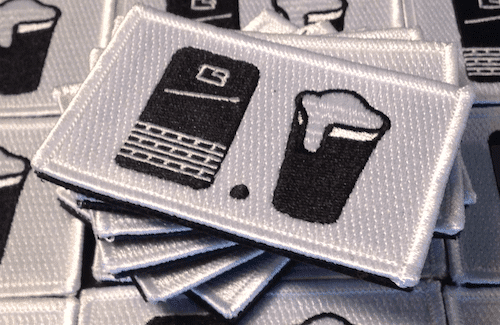 This is an amazing sale and probably the best rate you’re going to find on GORUCK Events. My recommendation is this is the time to pull the trigger on your 2019 event schedule. While it isn’t all locked down, there are three main events that I’m eyeing right now. GRT Reunion Tough – Seriously, this should be an amazing event and everyone should come to this one. It is the annual reunion AND it is at HQ. Done and done. DC 50-mile Star Course – I really wanted to do one of these in 2018 but the calendar never worked out. So, I’m planning to hit the 50-miler in DC. Constellation 12 in Richmond – I still haven’t done a constellation and this one is in my hometown. I should probably check this off the to-do list. Battling Bastards HTL – Ok, this one is a long-shot. Getting HTL ready is no joke and I’m not sure I have the time to devote to it this year. But, I’m at least considering it. What events are you excited to be grabbing during the sale? Drop your thoughts in the comments below. Star Course, 50, Jax Beach, Nov… REDEMPTION! And a Heavy Hitter HTL, Greenville SC, Nov; may forego this one for Jax Star…. decisions, decisions….